The Ball Paint Marker from Markal is ideal for writing on rough metal surfaces and leaves an extremely durable and long lasting permanent mark. The heavy duty plastic bottle is designed for industrial use and has a 1/8" steel ball tip. 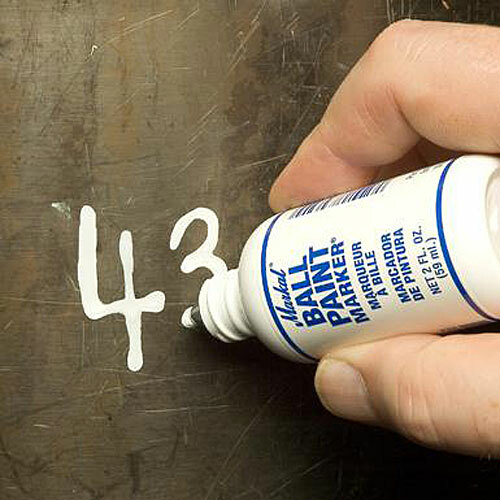 Non drip formula makes the Ball Paint Marker excellent on horizontal and vertical surfaces. Excellent paint designed for long term exposure to harsh environments. Also available in low chloride formulas for stainless steel.